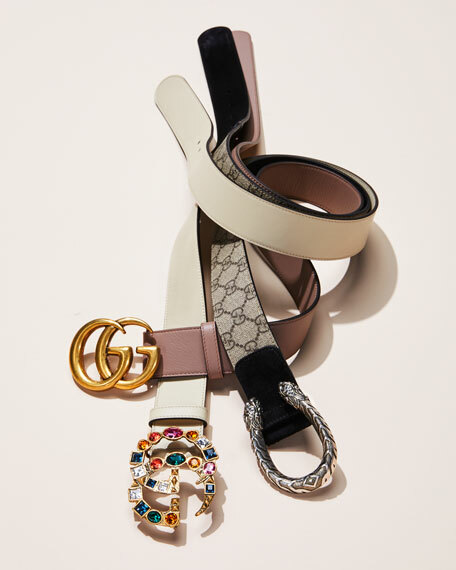 Gucci "GG Marmont" leather belt. Textured torchon double G buckle and metal keeper. Gold-toned hardware. Approx. 1"W. Made in Italy.